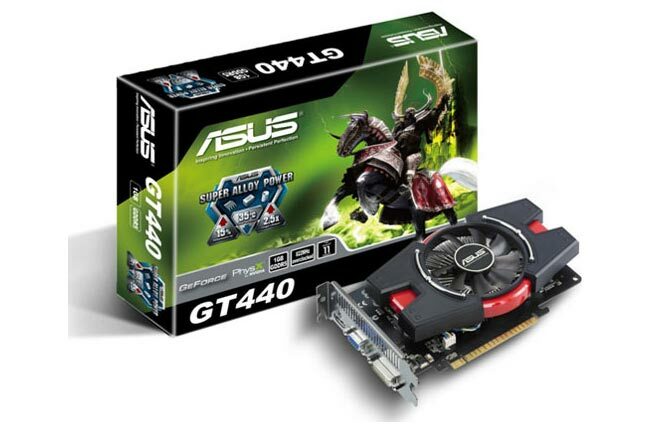 The ASUS GT440 is an entry-level graphics card, designed for casual 3D gaming on low settings. This card may not play some games at full 1080p, so be warned. 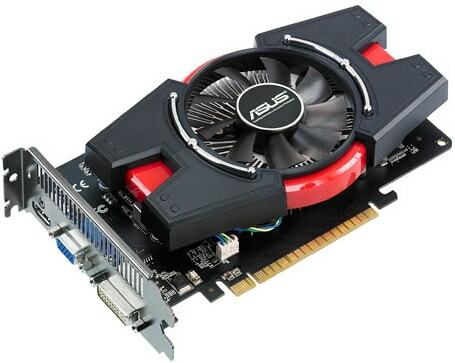 This card does not have SLI bridge support, but data can be shared over the PCIe bus. This GT440 from ASUS has the same graphics core as the GT430, but with GDDR5 memory, doubling the effective memory bandwidth. Because of the cooler design, it's better to have good case cooling (ALWAYS!) to help keep this card cool. But since it has a 65W TDP, you shouldn't have to worry too much anyways. This graphics card comes in the standard ASUS NVIDIA box, being green. It also features super alloy power that results in a 15% performance increase and a 2.5x longer product lifespan. This comes with the standard ASUS SmartDoctor utility, however, I prefer using MSI Afterburner, because of its more modern and sleek design. Also, ASUS GamerOSD is known to have issues with Battlefield 3. Battlefield 3 is known to be very demanding on graphics cards running the brand new Frostbite 2 engine and requiring Microsoft's Direct X 11. I found the gameplay to be very smooth, and clean. I found the frame rates to be very similar between the daytime and night time maps in multiplayer but found frame rate drops when there were a large amount of players and explosions. Suprisingly, this game actually plays Battlefield 3. However, it will have to be played at Low/Medium, at 720p. This video card is for those of you that want to (casually) game, without requiring any power connectors, or an upgraded PSU. Questions, comments, complaints? Leave us a comment!